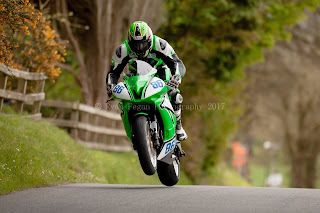 Derek McGee picked up wins yesterday in Supersport and Supertwins races to become Irish Champion of both classes. Consistency all season at every meeting backed by a professional and ultra-reliable team enabled Derek to bank valuable points from every outing in 2017. 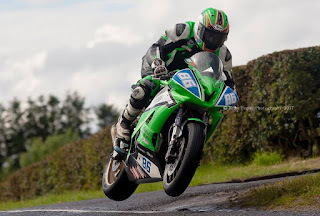 From the outset Derek persevered with changing conditions in some races to overcome the odds and win the two titles yesterday in a damp Armoy. ‘Man of the Meeting’ awards were also earned along the way adding to the growing list of accolades despite the best efforts the other hugely talented riders in the field. Derek has put a massive effort into fitness and off-season training which has obviously paid dividends in between maintaining a hectic work and home routine. Gelling with the new ZX-10r, maintaining the existing 650 and 600 while enjoying success on the Joey’s Bar GP125 all paid off in the end, a just reward for himself, the team and his sponsors. 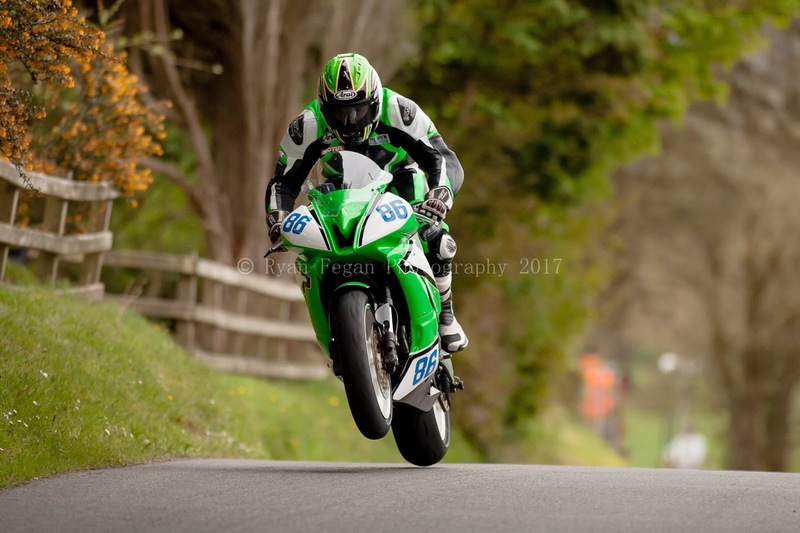 As well as preparing for each Irish round, Derek managed to get to the Southern 100 this year and was proud to bring home the “Best Newcomer” award. Next up is the Ulster GP in a few weeks and with both championships secure, the team can focus on gearing up for the challenge that is the “World’s Fastest Road Race”. Images: Ryan Fegan, Andy Quinn.